It has been widely believed and accepted that being well-dressed is not only an outward manifestation of one’s personal style but rather an excellent display of good manners as well. While some might argue that clothes and style are just negligible and easily overlooked aspects of our lives, one cannot deny that they heavily contribute to how one is perceived. In this regard, we can say come to the assumption that others would seemingly form their initial impressions of us based on we look and clothe ourselves. With this in consideration, clothes should not only be seen as garments which we use to cover ourselves but rather echoes of our personal style of which we want to convey to onlookers. In this sense, sartorial clothes are not so insignificant after all as in a way; it is also a form of communication. Because clothes play a pivotal role on leveraging others’ perception of you (as well as say a lot about the kind of manners you have), clothing and style should be paramount—especially when you are going to be meeting individuals for the first time. Style, albeit seen as a frivolity, resonates the kind of message you want the world (or at least your onlookers) to hear. Clothes are merely the vehicle of which we channel our style. The resulting sartorial assemblage would be our interpretation and in a way, our personal style. With a myriad of clothes available at our disposal—from wholesale urban fashion to style retailers, we do not really have a reasonable excuse to disregard our style. So, if you have not adopted a stylish lifestyle, perhaps the reasons below would finally convince you to do so. In any case, here are the reasons why you should advocate a stylish and well-dressed lifestyle. Actually no, good does not cut it, but rather clothing aids you in creating an excellent or at least positive first impression. No matter how much we try to justify it at the end of the day, people are superficial beings, and as a result, much of their assessment of you hinges on how you look and present yourself. In this regard, clothes play a substantial role. Dress like a slob, and you will be perceived as so. Dress like a CEO, and you will be seen as a successful individual. Although it is not exactly something to be proud of, it is how the world works and if you want to leverage people’s assumptions about you—at the very least, their first impressions—then, you would have to do your part in formulating that effect. A significant aspect in self-confidence hinges itself on your personal appearance. In fact, people who advocate self-confidence would almost always tell you to work on your personal appearance before proceeding anywhere else. Take this as good advice because, really, it works. Psychology postulates that people tend to perform better when they feel that they do deserve better and much of this has something to do with what you war. So, dress well, after all, a well-dressed individual immediately commands respect—not only from his or her peers but from others as well. 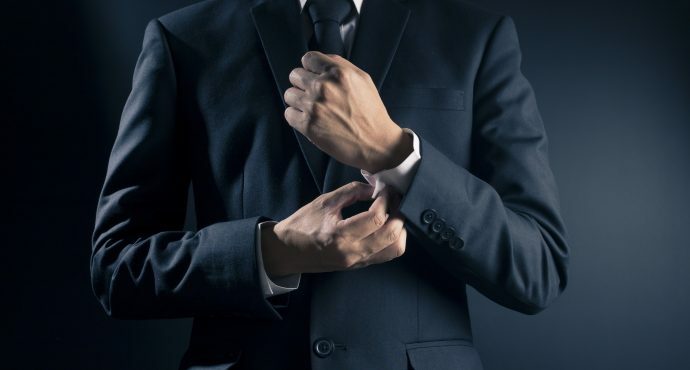 Regardless of what your job title might be or who you might be working for (or even if you own the company you are working for), if you are well-dressed, you have this natural inclination to be a lot more productive at work. You tend to be more useful as a result of how sharply you dressed for that day. After all, looking respectable commands deference from your colleagues, peers or your team—which is a significant advantage in the corporate world. Investing a bit of your time and effort into looking not only presentable, but respectable as well will have a significant impact on your overall lifestyle. In meticulously choosing your sartorial garments and making a conscious decision on how you should look for the day would bolster your self-confidence which creates a ripple effect that would positively alter your lifestyle. Your confidence will inevitably grow, and your self-perception would definitely change—and this is just the beginning of many changes. From this point onwards, you may notice how people would start treating you differently as they have noticed that something about you has changed. Moreover, it might motivate you to make some lifestyle changes you have never thought of advocating before. You might not know it, but it might just inspire you to work out, eat better or even pursue the job you really want and the life you wish to lead–not a bad ensuing effect just for a set of clothes, right? If you have been dressing sharply for quite a while, you would then begin to notice all the little details that used to fly by your radar before. Things that used to be insignificant to you such as the collar shape, pocket square selection and other details in dressing well would now matter to you. As a result, you would see them in other individuals as well and so would they on you. As expected, other well-dressed individuals would appreciate the time and effort you invested in your appearance to which they would give you appreciative nods and smiles. Think of an excellently put-together outfit as the ID to a secret society where all of its members are other well-dressed individuals. The subtle nod or appreciative smile might be the secret gesture for this elite society of stylish and fashionable individuals. Much like how a physician’s coat is directly associated with a doctor and how a lawyer’s suit is easily identified with attorneys, a good and sharply chosen outfit is associated with an influential role. In a way, they can be seen as status symbols—no matter how subtle, and the people wearing them may even choose to live vicariously through the clothes they wear until such time that they start emulating the type of lifestyle associated with the outfit. The latter is not necessarily a bad thing as in one way or another; it can significantly improve an individual’s station in life. Other subtle effects would also communicate detailed information for the individual who invests part of his or her efforts and spends their time in planning a dapper outfit. It might sound like its reaching for justifications, but the truth is caring for your appearance has an effect on making you into a more responsible individual. To some, this might just be silly reasoning, but in order to be well-dressed, you have to keep track of little details that are otherwise insignificant to others. Details such as knowing which shirts to be ironed, which belt goes with what bag, which pairs of shoes need to be shined and anything similar are things that you have to do for yourself. These habits reinforce a strong mental attention to meticulous detail and would resultantly make an individual plan ahead—a good skill which can be very much useful in any profession or career. Being a sharply dressed gives you a competitive edge—not only professionally, but almost in every aspect of life. Sometimes, no matter how subtle, your manner of dress would help you close a potential deal or sale, assist you in drumming up a new business or the like. Much like how the sentiment “dress for success” goes, choosing your articles of clothing carefully and assembling them to make a powerful outfit can contribute to giving you an edge over your peers. After all, a strong impression would not only be an excellent first impression; it leaves a lasting one as well—one which you should endeavor to do (particularly if you are in the field of business where you interact with a lot of people). Dressing well shows that you care about yourself and would somehow mean people should take you more seriously. Clothes, although seen as a trifling aspect of life, should not be considered as so. An individual who endeavors to be better dressed should not be seen as superficial but rather well-mannered. After all, dressing for success and dressing for the job you want (and not the one you have) are resonated through outward displays of excellent style and fashion. You might just be surprised at how it can potentially change your outlook on life. So go ahead, put on that tailored suit, slip on those beautiful shoes and tie the ensemble altogether with a bespoke shirt to look dapper. You might not know it, but transforming yourself into a dapper individual might be just what you need to turn your life around.